Here "name" is the key and "Barbie" is the value of that key. Plus JSON comes in all sorts of representation - simple, nested or arrays. The simple format contains a set of attributes like this. At times json data can be complicated with nested attributes. 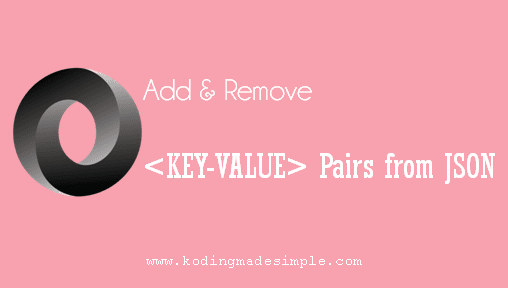 Adding key value pair to json will append the new attribute to the end of the json string. Following is the simplest way to add attributes to existing json data. You have to loop through the array of items and add attributes to each one of it. In order to remove an attribute from json you have to use JS delete method. This will delete the json attribute with the specific key. Likewise you can remove the occurrence of particular attribute from json array.